I picked up this antique brass towel bar at the thrift shop the other day. First I painted it with Rustoleum American Accents Satin enamel in Canyon Black. Next I added two coats of Dutch Boy Chalky Finish Paint in Antiquated Lace. I wet distressed the towel bar so some of the black enamel showed through, and then sealed it with Varathane Crystal Clear Matte water based poly. I attached two 1" x 10" x 24" pine boards with scrap boards on the back, like so. I added two sawtooth style hangers. 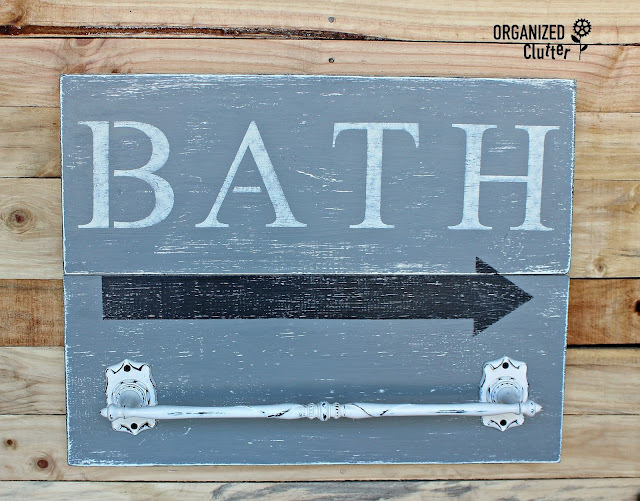 My pine boards were based coated with black paint, white chalk paint and finally with a coat of Rustoleum Chalked in Country Gray. I found these 5" letter stencils from Show-Offs at Hobby Lobby. I cut the letters apart and worked carefully to space the letters evenly and also in a straight line. I used blue painters tape to keep them letters in place during stenciling. 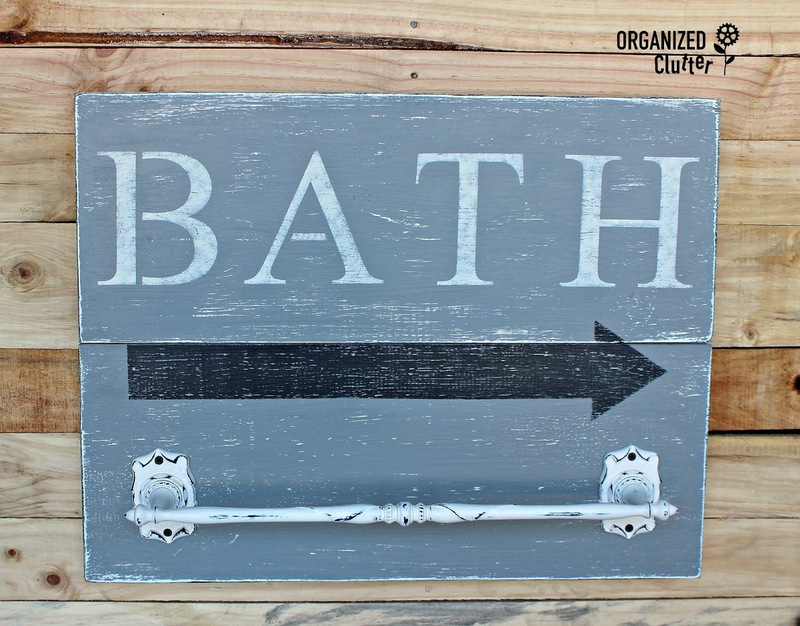 I stenciled the lettering in light ivory craft paint and added a black arrow. 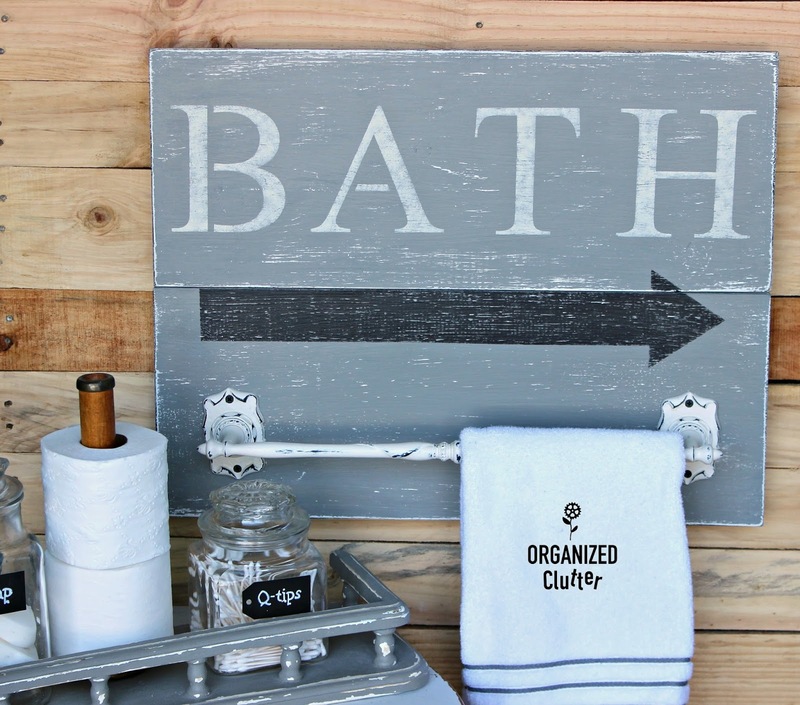 I distressed the sign with 100 grit sandpaper on the edges and 220 on the stenciled areas. I sealed the sign with more Varathane water based poly. 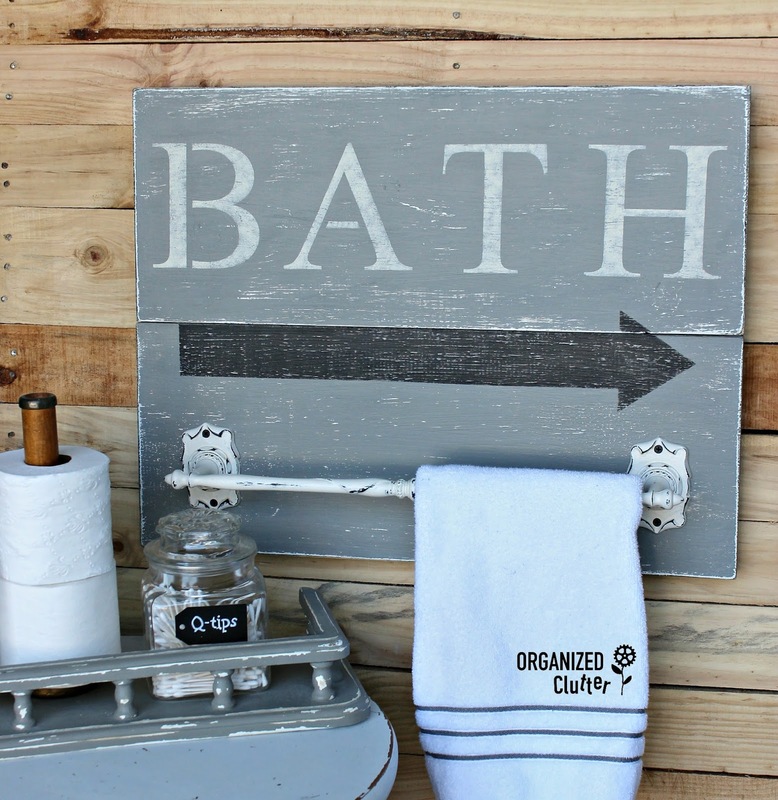 The towel bar was attached with screws, and this completed my towel bar/bath sign project. Another very easy thrift shop upcycle from Organized Clutter. Thanks for following my upcycling adventures! Very cute! Amazing how paint updates something that was outdated. I love how this looks. Great job with the sign! Oh, that's just adorable! LOVE your colours!